Wednesday 7th August, 2019 - Awards Day, finalists present to judging panel and audience. Wednesday 7th August, 2019 - Awards Evening Reception, winners announced and celebrated. 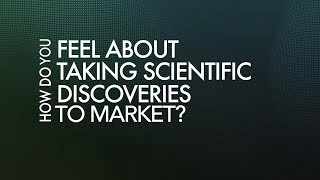 How do you feel about Taking Scientific Discoveries to Market?